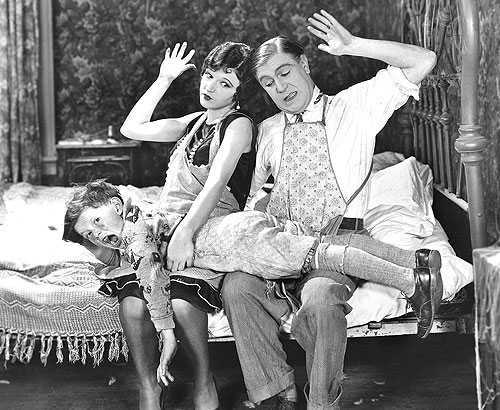 Do you think you are probably doing the best thing by spanking your kid to prevent misbehavior? Probably only in short-term. Spanking has been proven by psychologists to mark your child IQ low in comparison to other children in the long run, reason being you mentally scar the child with corporal punishment. Not only is this seen across the west but all over the globe. Parents think they are reprimanding bad behavior and often use physical punishment to teach the child the right way of doing things. Children who are at this receiving end then associate fear with punishment and also may exhibit weak behavior or decision making ability later on. The UN and EU both have made constant efforts to make parenting easier and a learning subject with parents. It is seen that southern families especially take to spanking and beating up their kids themselves. The child being small does not understand much and takes the beating badly. It is even reflected that children between 2 to 4 years have a lower IQ difference than children between 5 to 7 years. Parents also use random things such as wooden objects or belts to spank the child. It is not only spanking but physical abuse churned out which is not only bad for the child but also affects the relationship between the parent and child. A verbal reprimand itself at times itself can be enough to make the child understand of what’s not good behavior. Tough children do yield to spanking and other physical punishments and perform better say may be in studies or behavior, whatever may be the reason for dispute. But most, either grow scared and shy away and also exhibit weak personality. Money too has been seen to be a problem when it comes to spanking the child. May be the child wants a toy and starts crying or due to the parents being under pressure, they often push their frustration out by beating the child? In other cases, maybe the intelligence level of the child is what frustrates the parents. Parents often find it hard to accept that their child may not understand something easily, remember every child is different. In any case parents should understand that because a child may not resort to handing back the physical punishment or stop you from dishing it out, it is not the reason you take advantage of it. You don’t want your child to fear you. Spanking is quite embarrassing to the mind of a kid and also, leaves them humiliated and hurt, hence, parents who are concerned about their children and also indulge in spanking should stop such behavior. Instead make the child understand, reason with him or her and also, be tough when needed but draw the line between pinching the ear and spanking or physically abusing the child. A low IQ is resultant as the child may be not remember subconsciously by maybe fear or the conditional reasoning that happens with past experiences. I would love to hear your ideas on how to stop spanking a child & say no to corporal punishment. Please leave me a comment and let me know. Subscribe our RSS to receive latest child development updates. How to Discipline Your Child Does Your Child Misbehave Oftenly? Top 12 Tips To Save Your Child From Unrealistic Expectations? How To Bond with A Stepchild Does Inferiority Complex Bother Your Child? Abuse, Hunger and Prostitution. What Else For Slumdogs?